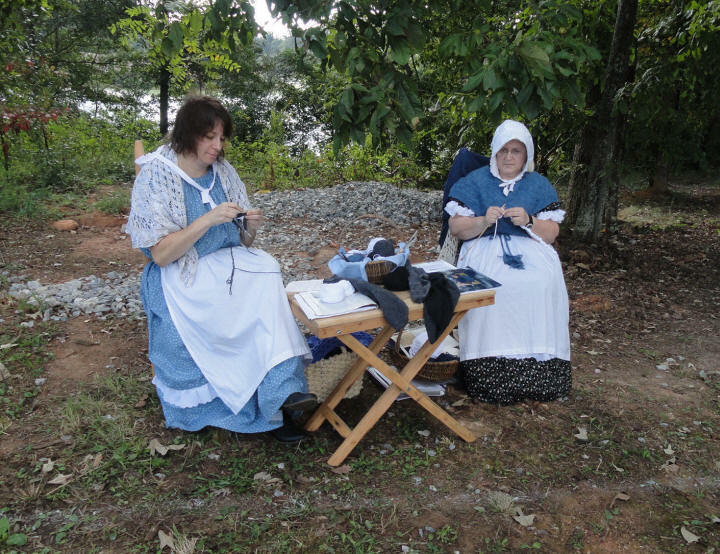 The 46th NC Co. K "Catawba Braves"
"Preserving the History of the Civil War"
Murray's Mill had their annual Harvest Festival on September 28 - 29, 2013. 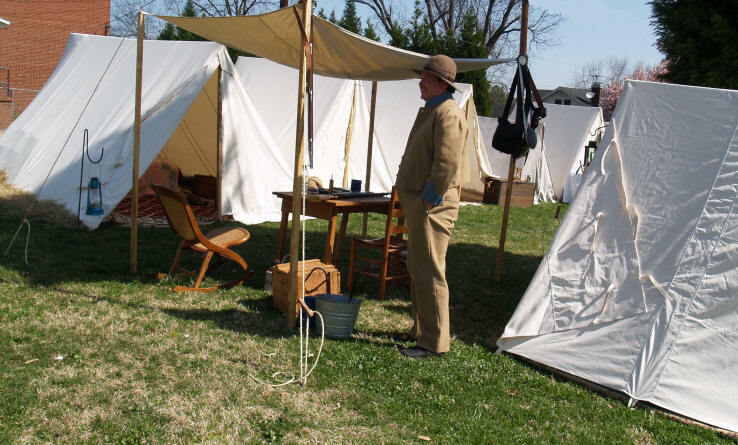 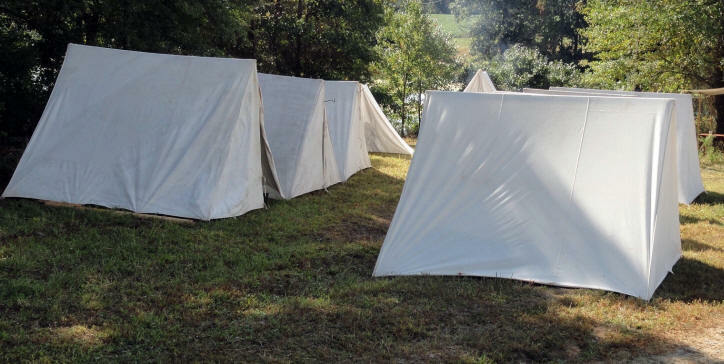 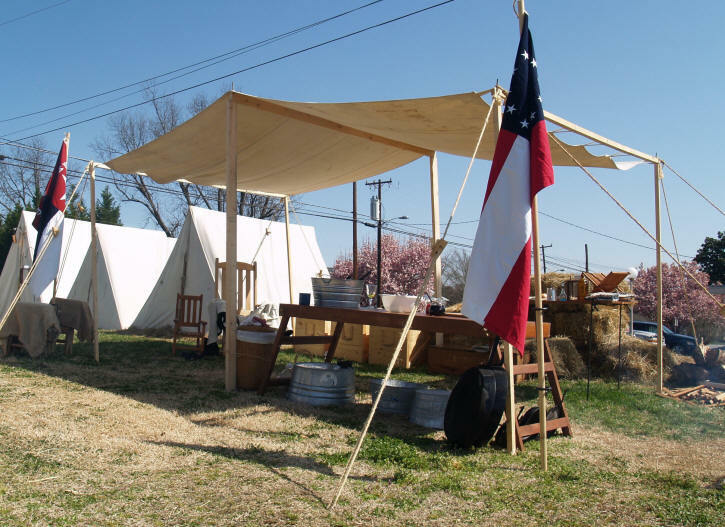 As part of the festivities for the day, there were two Civil War camps set up - representing both the Union and the Confederate States. 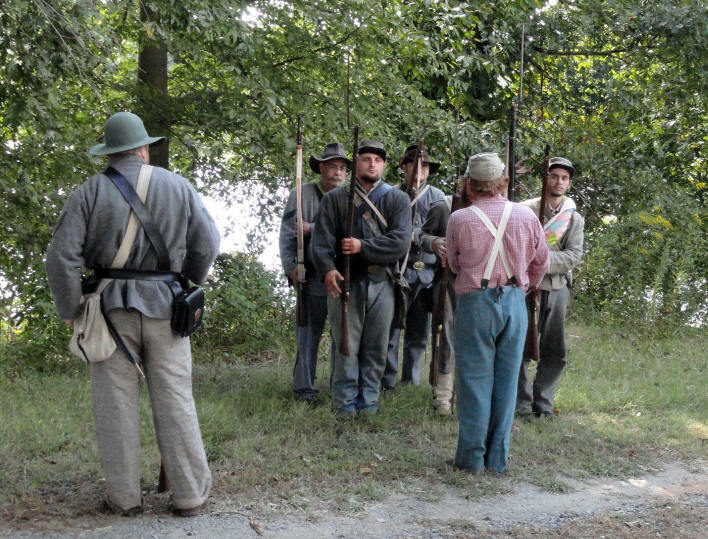 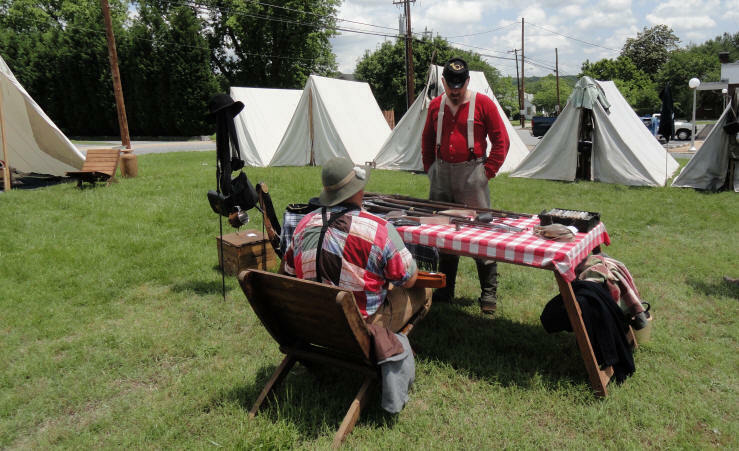 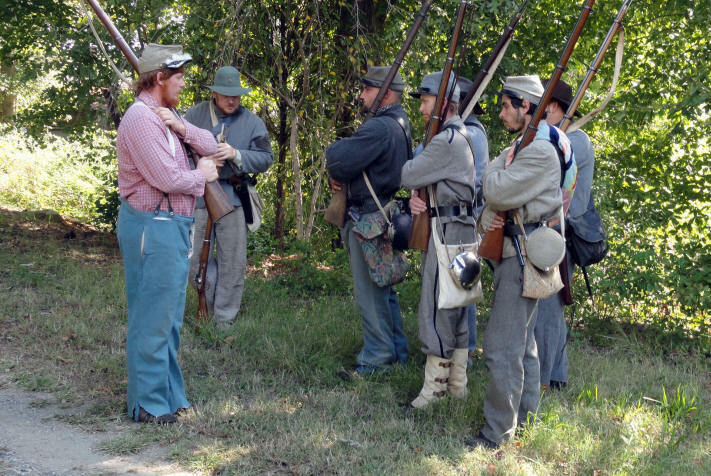 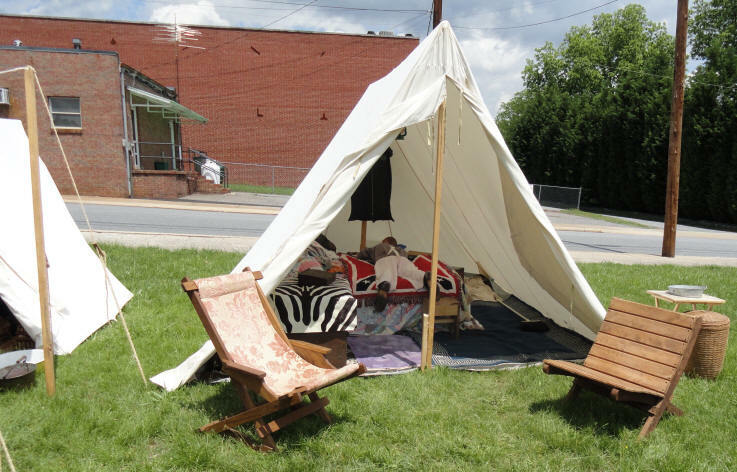 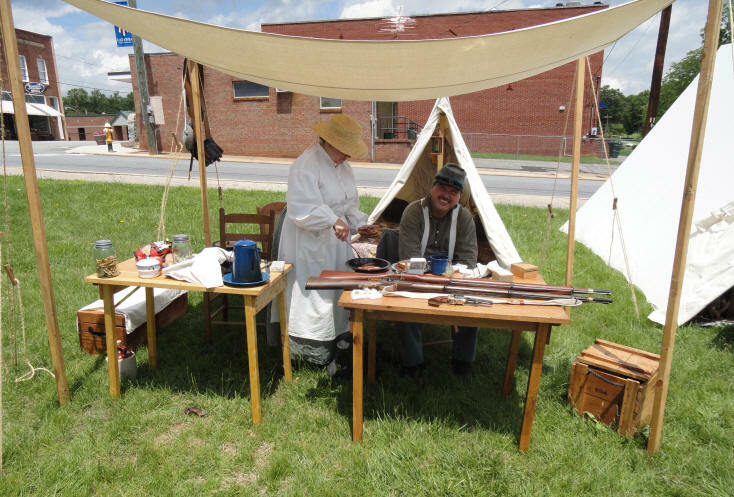 Members of the 46th NC Co. K "Catawba Braves" set-up a Civil War village in the center of downtown Catawba on May 14-15, 2011. 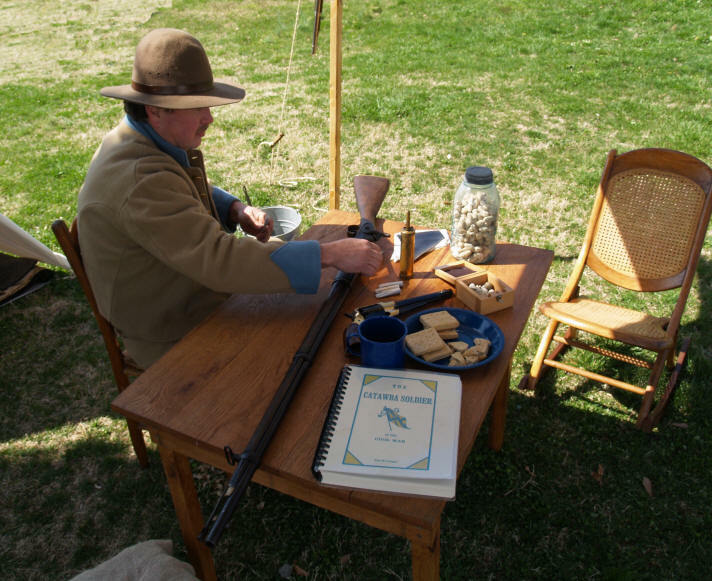 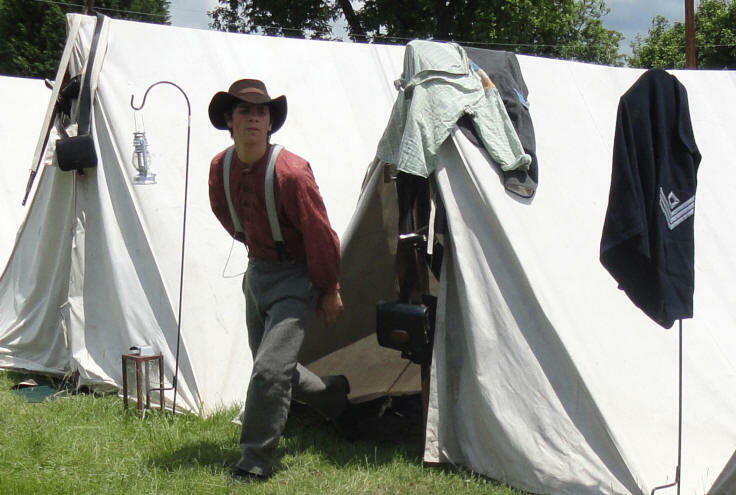 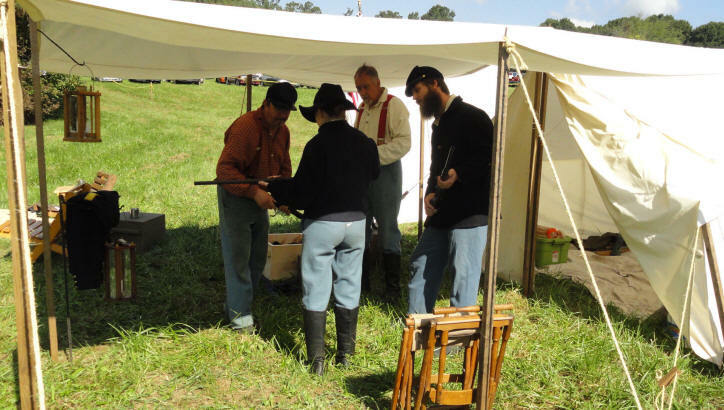 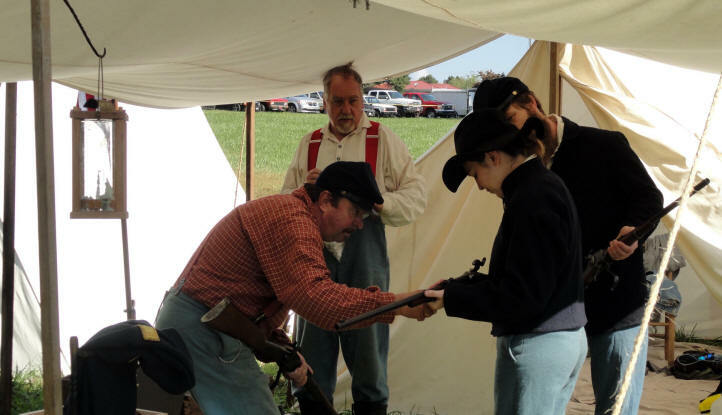 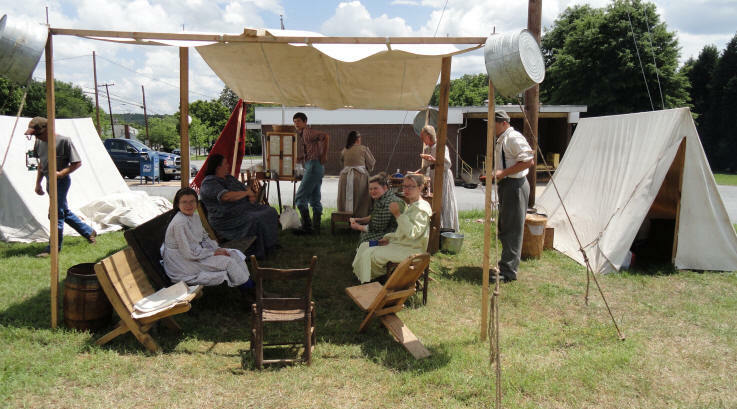 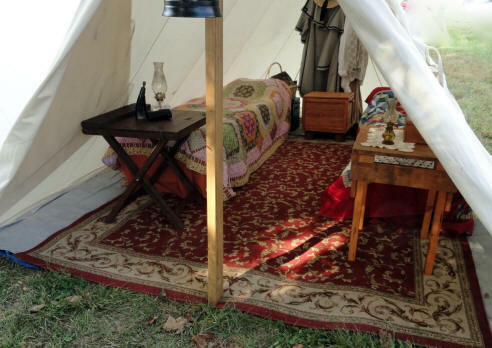 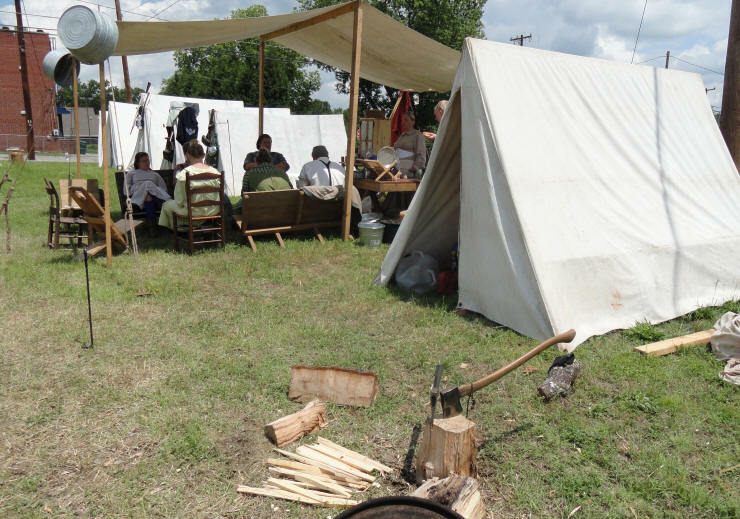 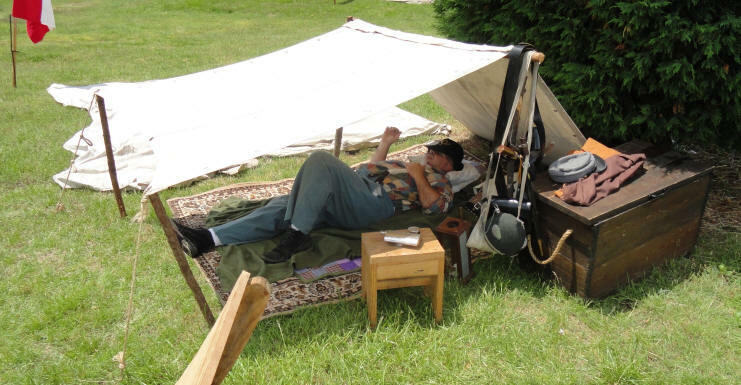 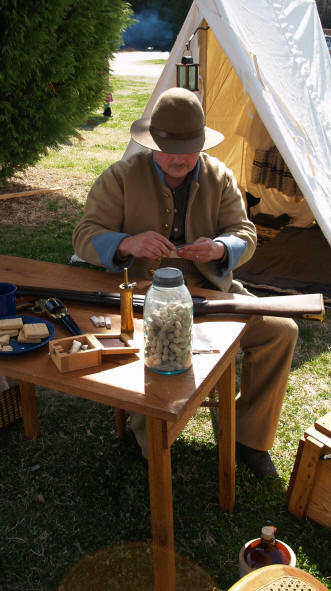 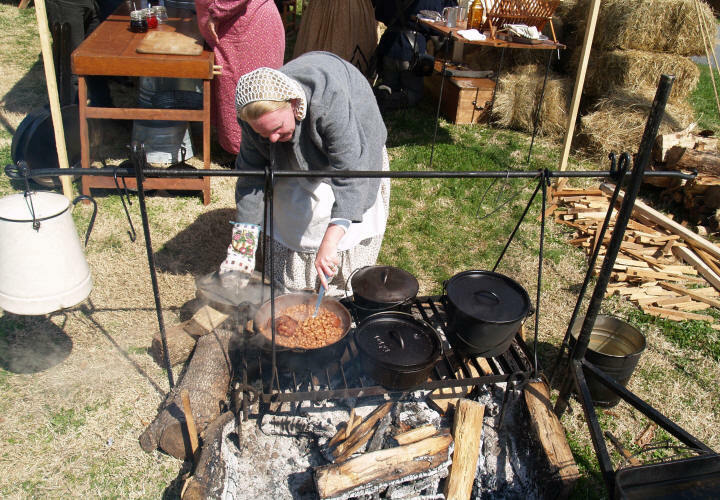 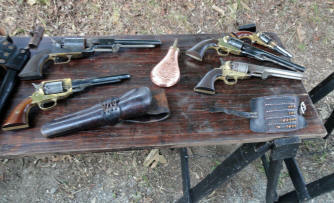 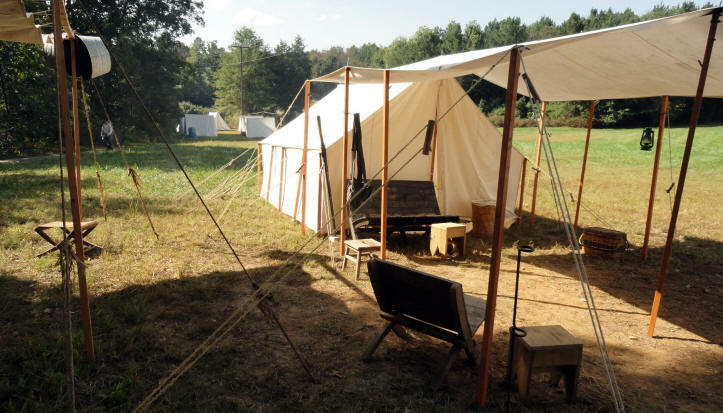 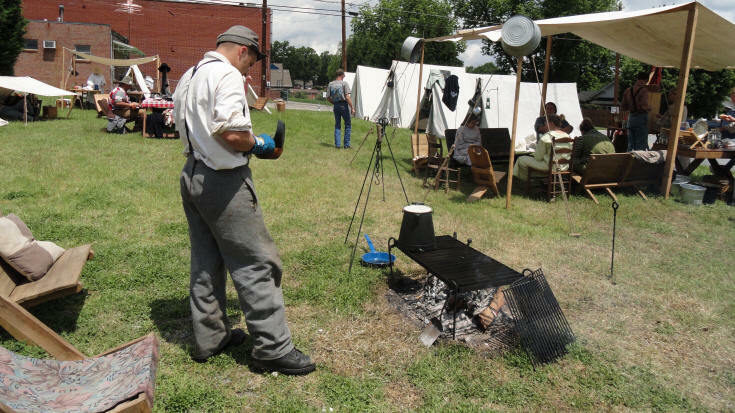 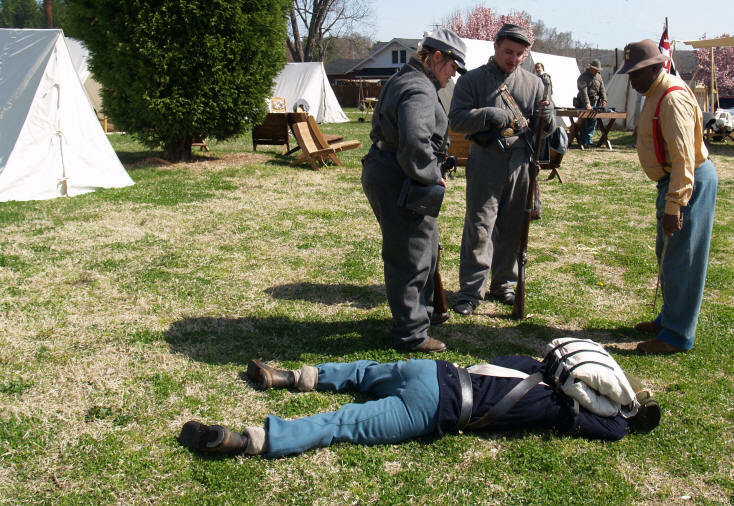 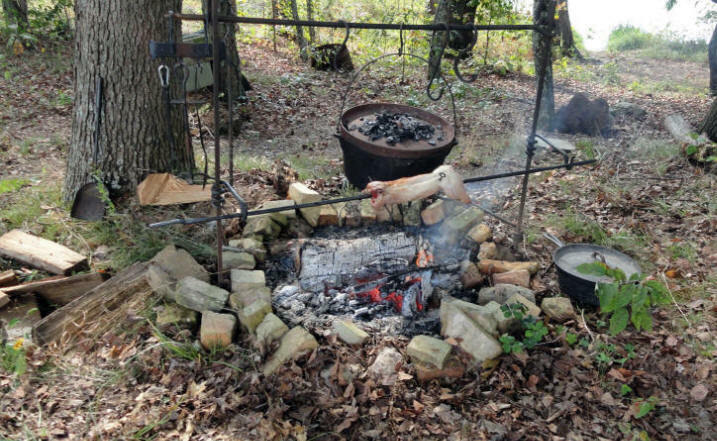 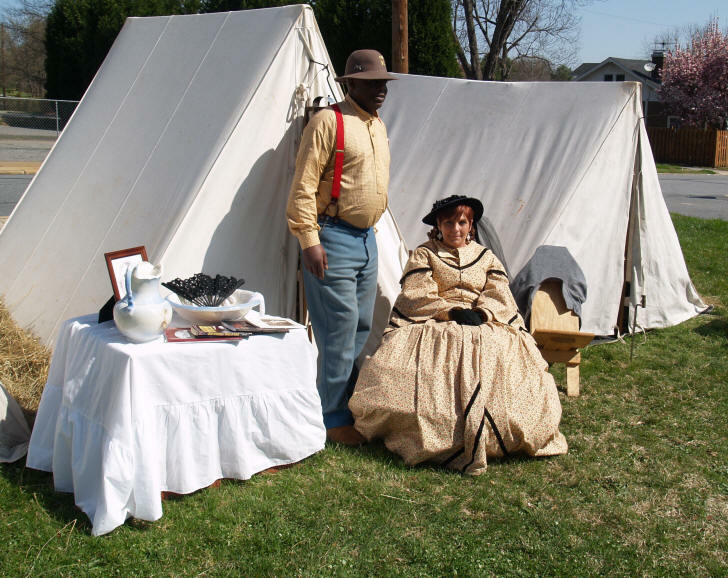 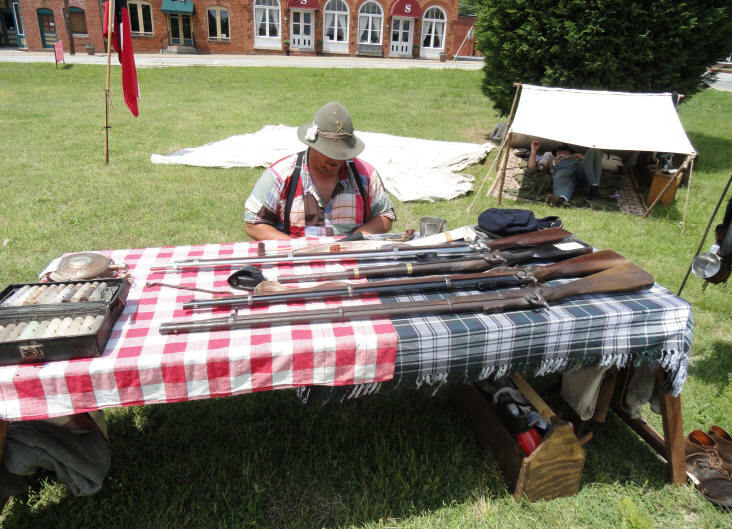 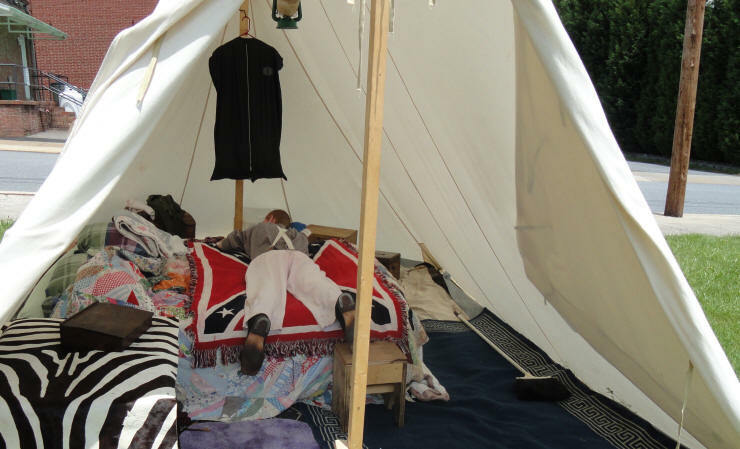 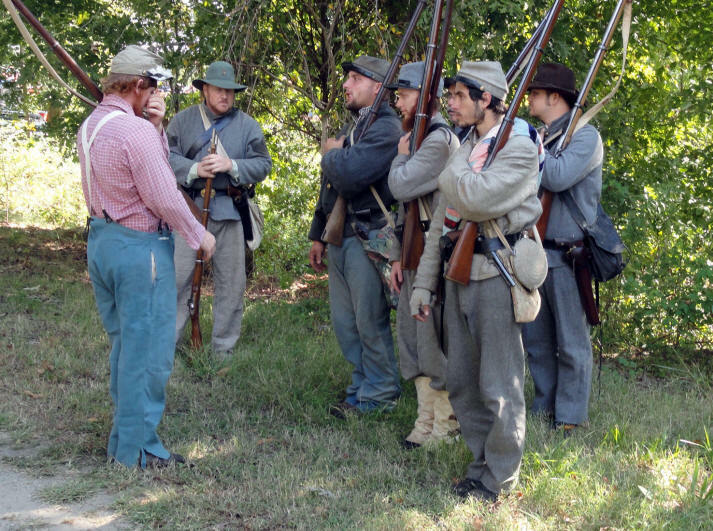 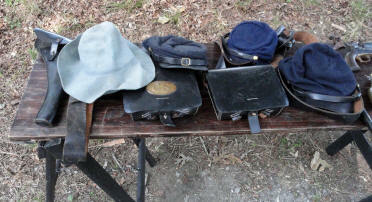 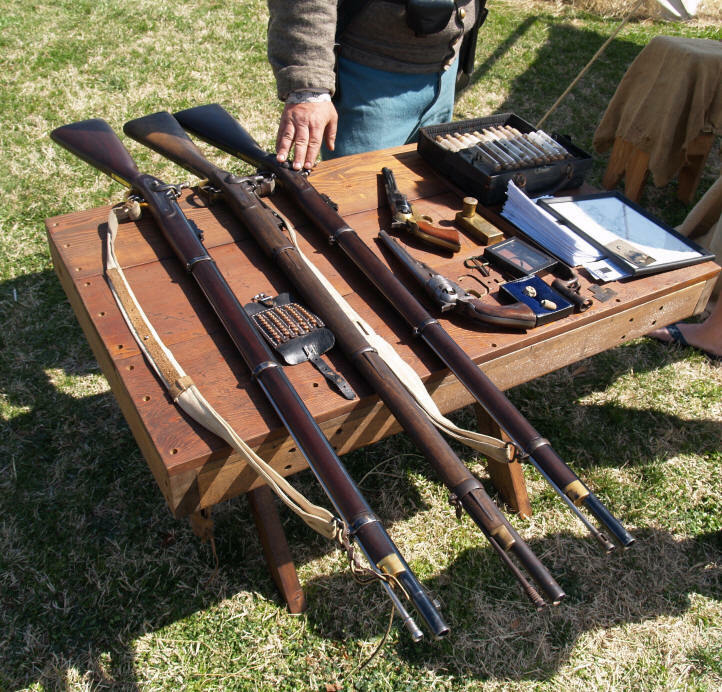 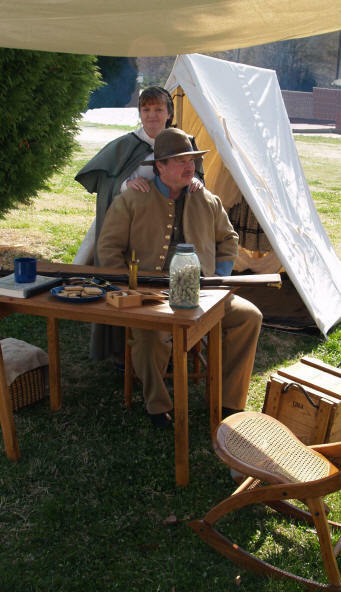 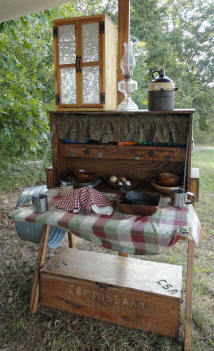 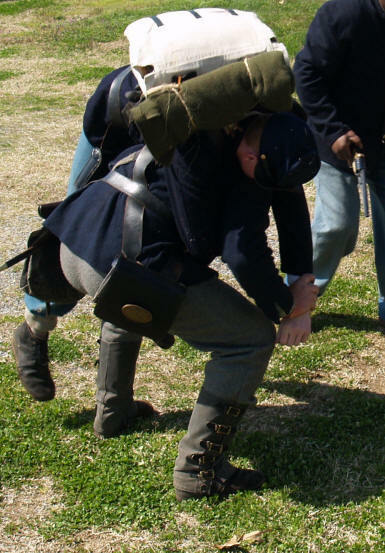 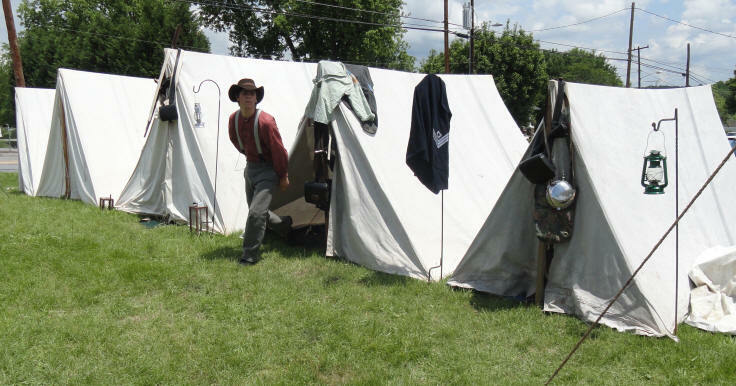 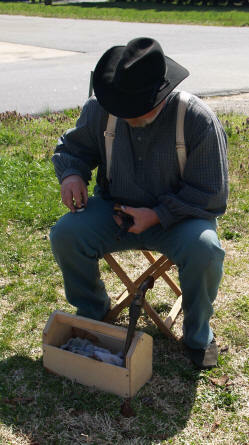 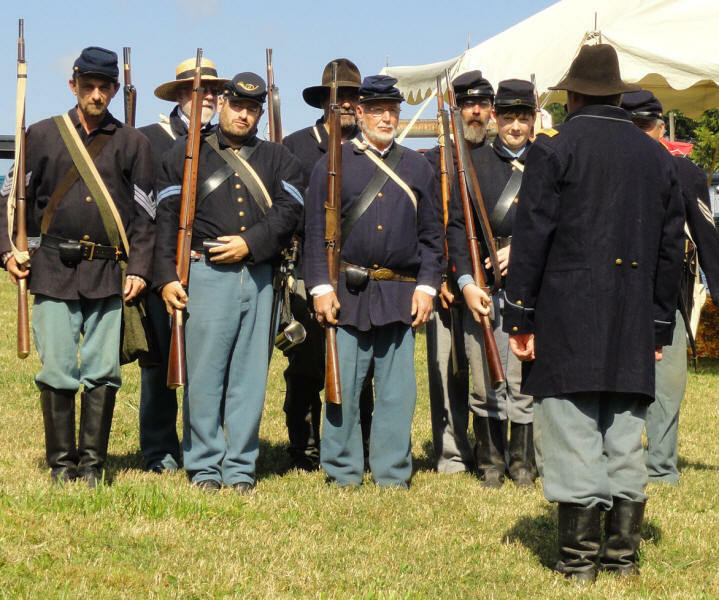 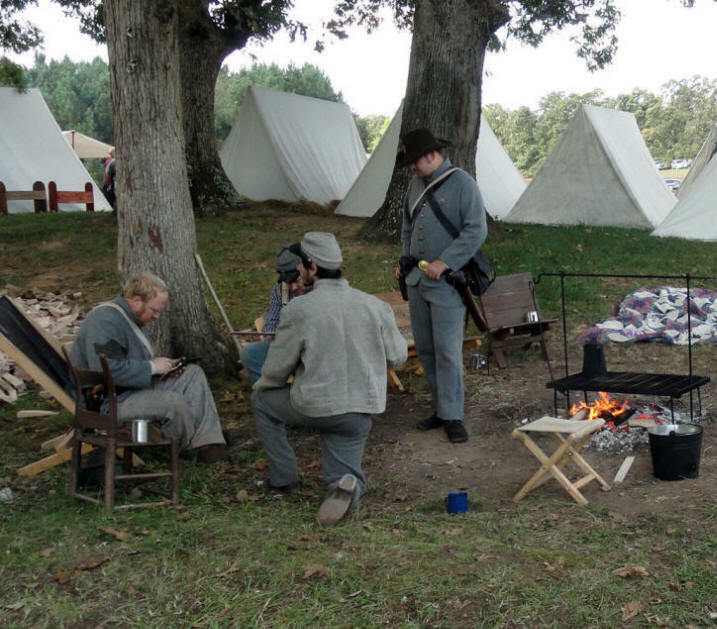 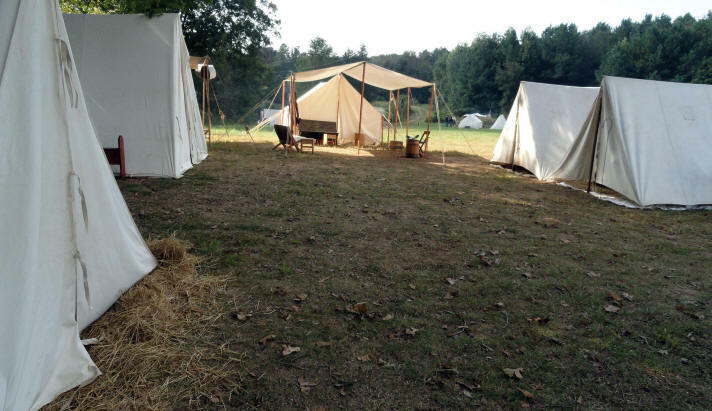 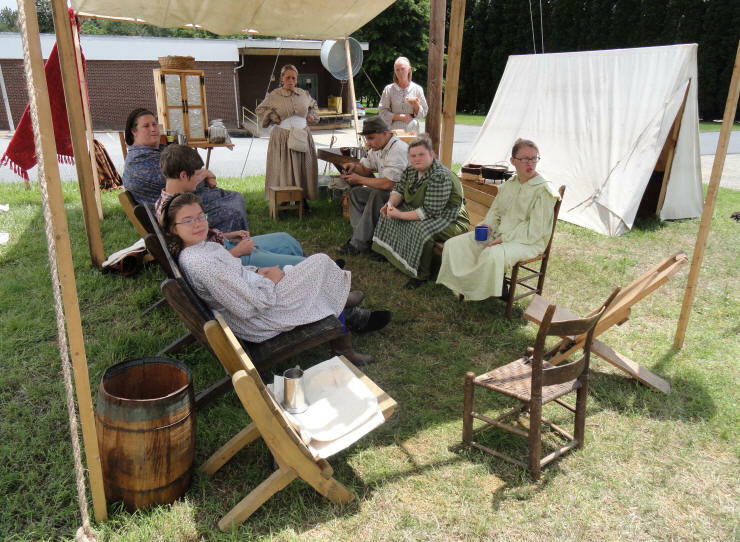 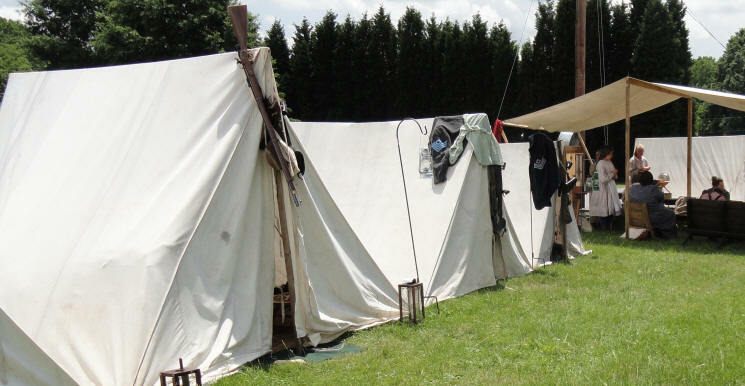 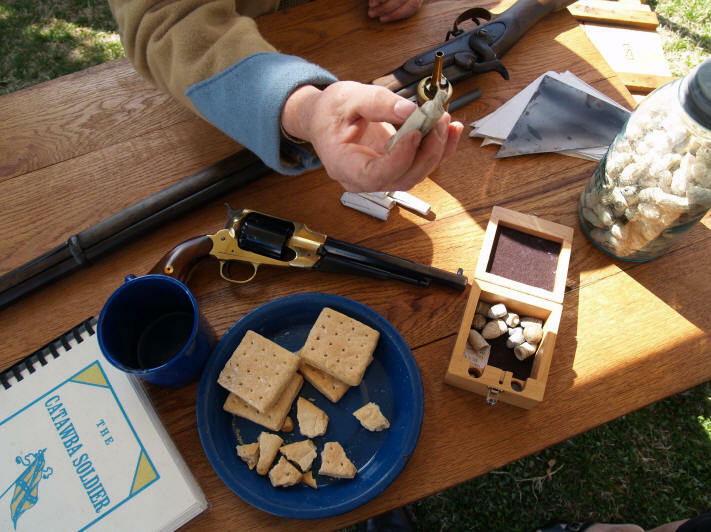 The re-enactors showed visitors what life was like in the 1860s and presented a variety of demonstration on how men, women and children lived during the American Civil War. 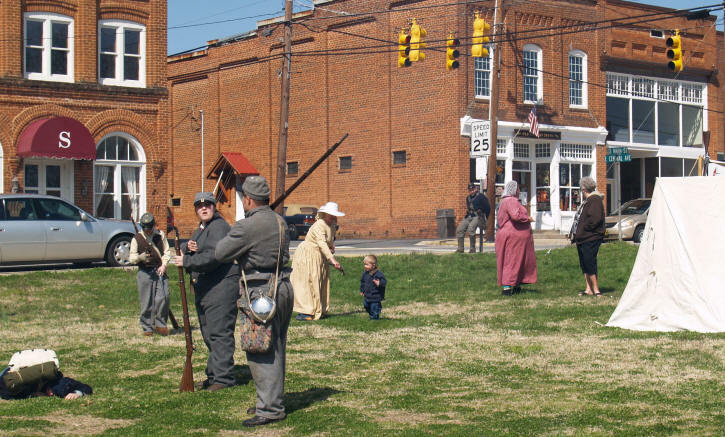 The town of Catawba is located in the eastern part of Catawba County. 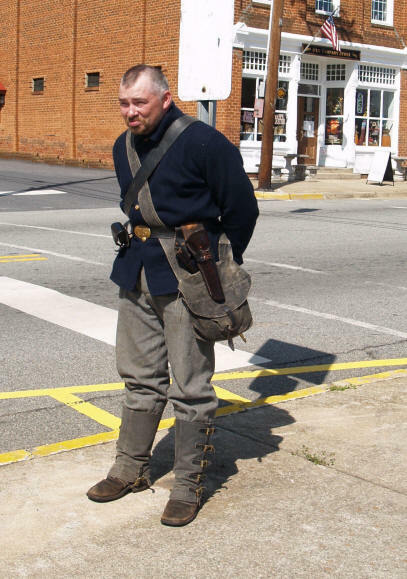 It is one of the oldest towns between Salisbury and Asheville, having been selected as an early railroad station. 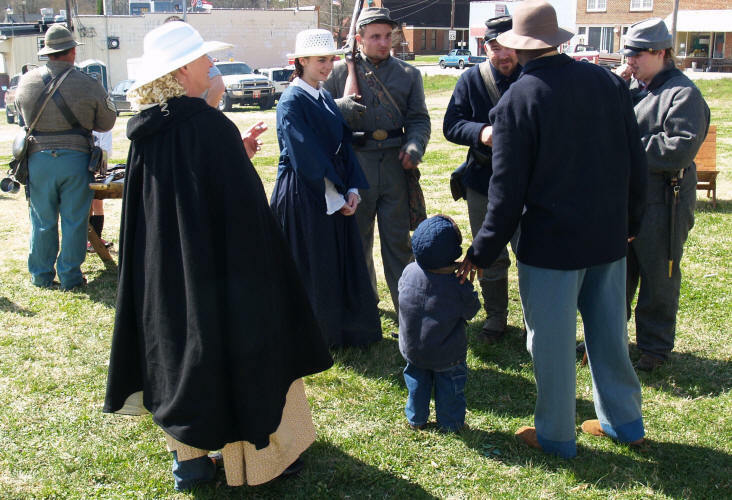 Trains ran to the town before the War Between the States, beginning about 1859. 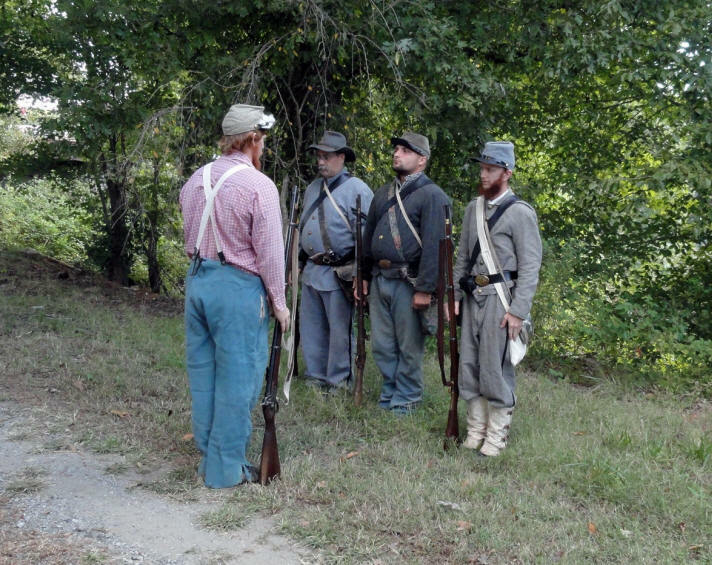 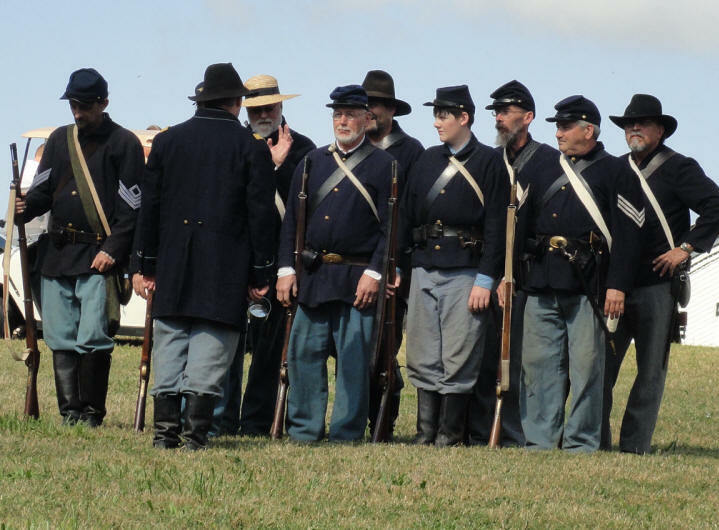 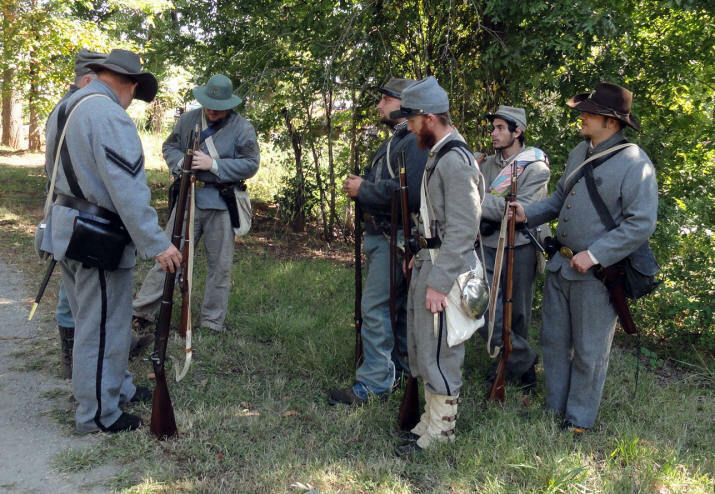 There was a battle scheduled for 2:00 PM Sunday afternoon, but unfortunately I was scheduled to be at the Loftin Family Reunion at the Methodist Church at the same time. 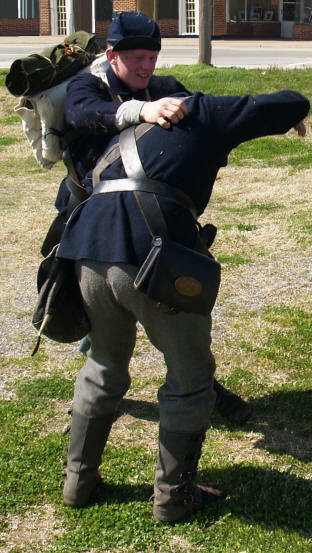 Maybe I'll get some battle photos next time. 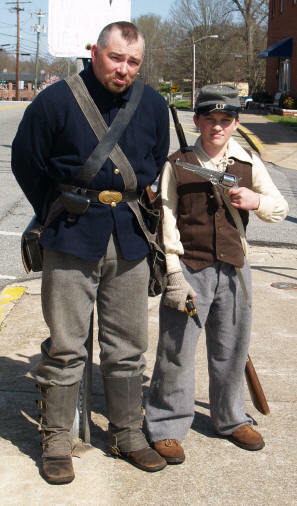 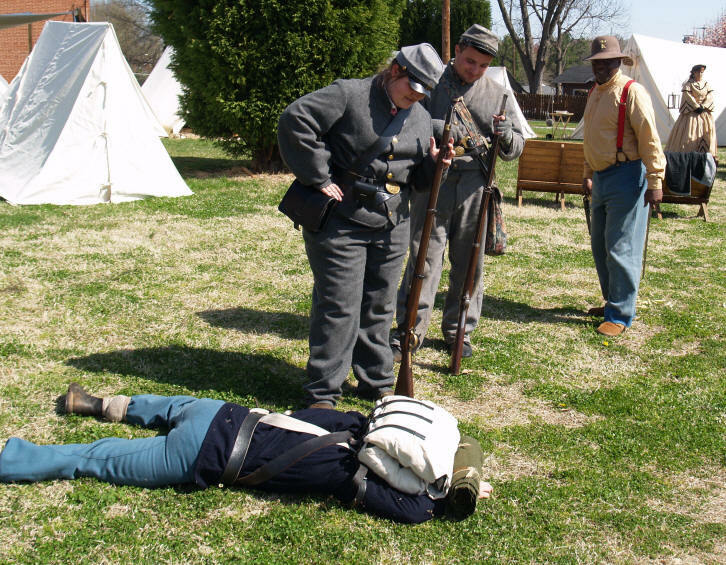 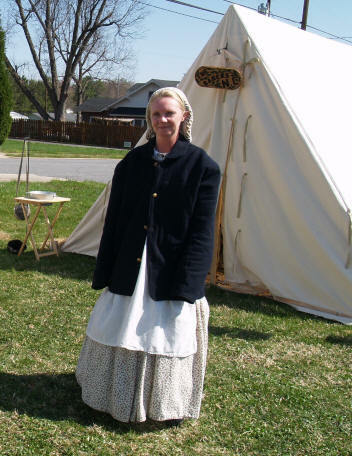 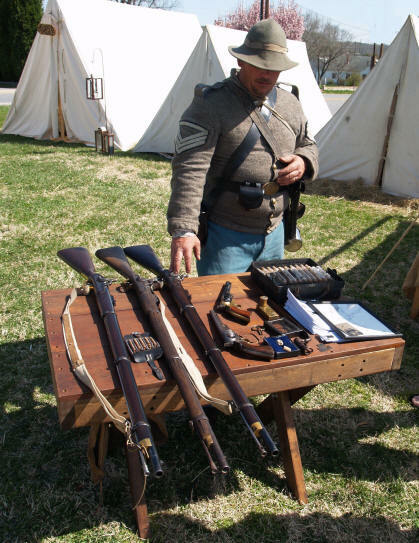 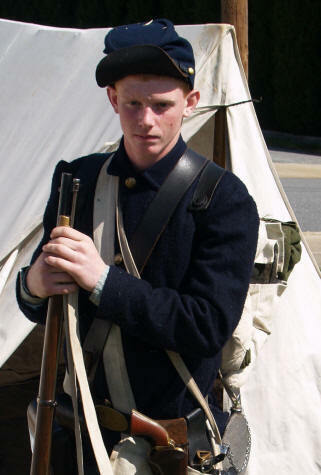 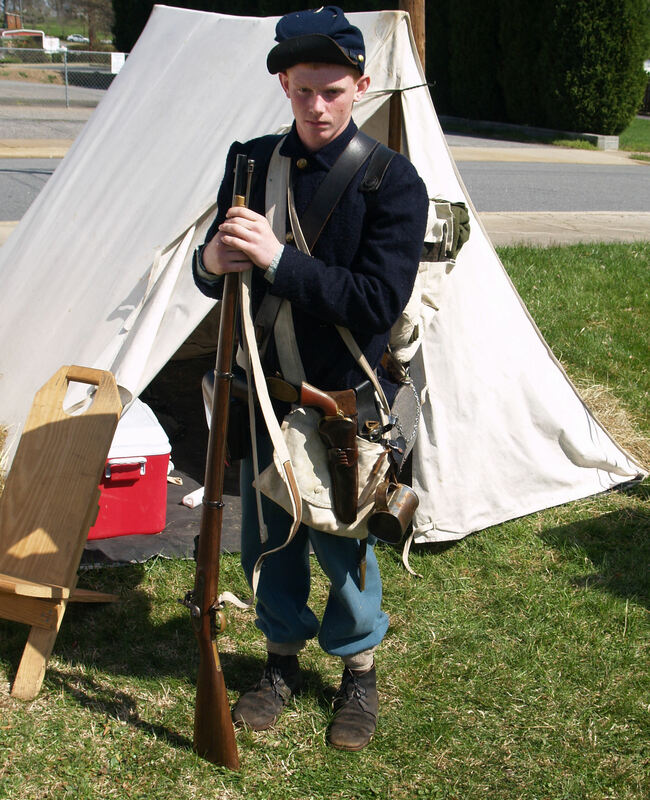 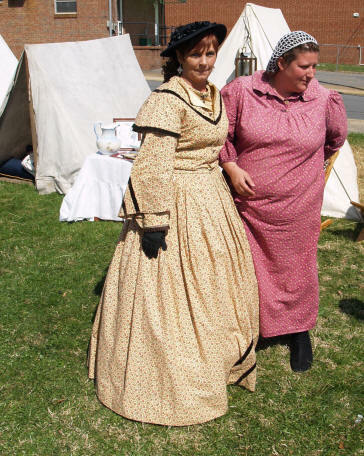 Members of the 46th NC Co. K "Catawba Braves" set-up a Civil War village in the center of downtown Catawba on March 27 - 28, 2010. 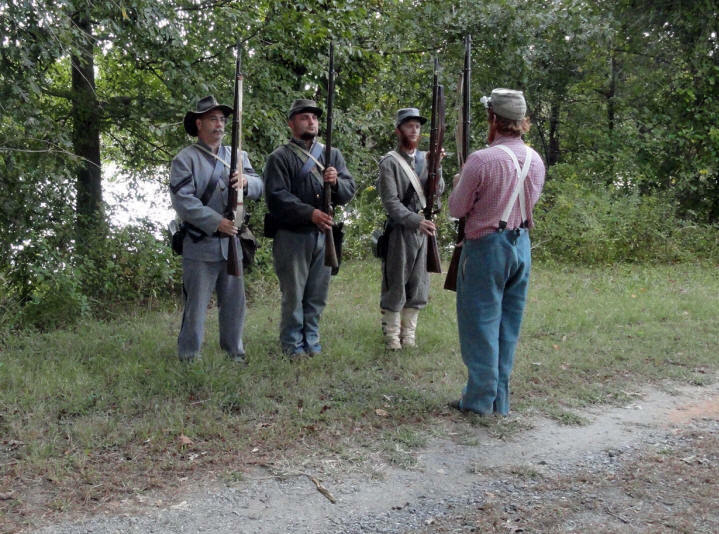 "So much for southern hospitality!"